Governance aside, one possible explanation relates to the rise of "intangible assets" such as intellectual property rights, brands, relationships with stakeholders, norms, traditions, access to global markets and the ability to coordinate global production and distribution networks. The move to the intangible economy means that “know how” is of greater importance, and that value is increasingly placed on “access” to, rather than “ownership” of, industrial infrastructure. The implications for this new economic paradigm are profound for development policy. Traditional models of vertical industrial integration have failed to generate relevant welfare gains in sub-Saharan Africa over the past 50 years. From 1970 to 2017, the average real income per capita in US dollars has only grown at an annual rate of 0.47%, according to data from the World Bank Development Indicators Databank. In the context of sub-Saharan Africa and other developing markets, structural shifts suggest that even when a country is naturally endowed with raw materials, it will not necessarily thrive by exporting and commercializing these products and services in the global market. This is because the commercial side of the value chain requires capabilities and a level of sophistication that are radically different from those needed in more upstream activities such as manufacturing. 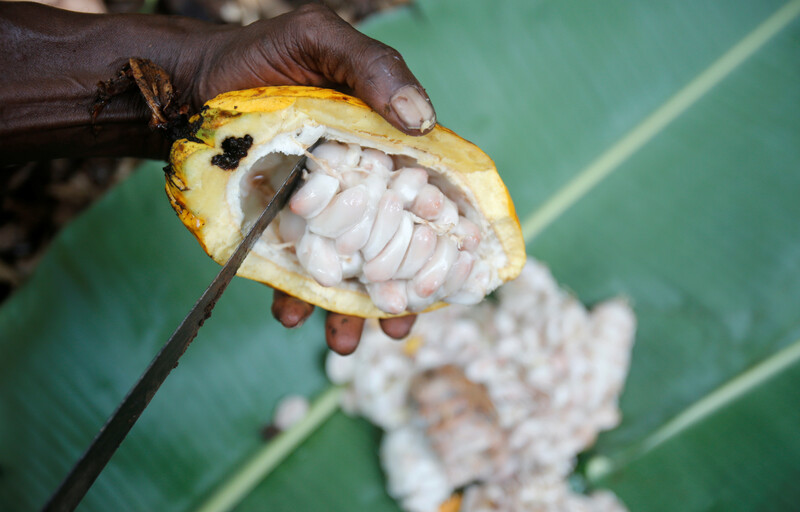 If countries that do not grow raw materials (cocoa trees) still manage to capture a high share of the added value (chocolate), this suggests that ownership of the raw materials and of industrial facilities in the cocoa-growing country does not bring the same results as in the industrial age of the 19th and 20th century. In Globalization 4.0, companies that have nothing to do with growing cocoa still capture a disproportionate amount of profits from its end products. One example of this lies in the West African countries of Ghana and Cote d’Ivoire. These countries are the world’s two largest producers of cocoa beans, together holding over 50% of market share. They generated $5.7 billion in cocoa bean export earnings in 2016. In contrast, the US-based Hershey Company (the world’s largest chocolate manufacturer) generated $7.4 billion in net sales - roughly more than 30% of the export earnings of Ghana and Cote d’Ivoire combined. Why is an investment in Hershey’s, which is a diversified downstream chocolate company, more profitable than an investment in concentrated upstream cocoa operations in Ghana and Côte d’Ivoire? These trends persist across countries. Excluding Brazil, the five largest recipients of foreign direct investment (FDI) - the US, China, Hong Kong SAR, Singapore and the Netherlands - captured 44% of total incoming FDI flows in 2017. These countries are largely undergoing deindustrialization, moving further into knowledge-intensive and domestic consumption growth models. Their outputs may be different, but their models are similar: they commercialize products for which they do not necessarily own the raw materials. This industrial know-how attracts higher levels of FDI because a strong public infrastructure and more knowledge-intensive segments of global value chains result in higher returns on investment, especially when compared to mineral and manufacturing investment alternatives in host economies. According to Nobel Prize Laureate Robert Solow, long-term economic growth is about the factor accumulation of capital, savings and population growth. Most recently, know-how and technological capacity have shown to be the most critical determinants in sustained economic growth. As a result, a complimentary policy recommendation to inward FDI and vertical industrialization would be for sub-Saharan African countries and their firms to become foreign investors in more advanced economies, diversifying their portfolios and mitigating risk. Essentially, in addition to growing cocoa trees, Ghana and Cote d’Ivoire should consider investing in the Hershey Company. It may seem counterintuitive to advise policy-makers of capital-constrained countries to mobilize a share of domestic resources (savings, assets, mineral reserves) to make strategic investments abroad. However, research shows the benefits of foreign investments in acquiring know-how and technology. A number of international firms that engage in mergers and acquisitions have done so on this premise. For example, India’s Tata Motors acquired the expertise and experience involved in building luxury vehicles by purchasing a luxury vehicle company, Jaguar Land Rover Limited. The promotion of outward FDI in downstream segments of global value chains can help improve the trade, fiscal and debt positions of developing economies in a number of ways. Outward FDI can help a country generate stable dividends and foreign currencies to finance its imports, repay its foreign-denominated debt, and complement generally low domestic fiscal revenues. Singapore, Abu Dhabi and China export FDI for many of these reasons. These three countries acquire equity ownership in companies that hold proprietary know-how that they lack, in order to understand and adapt these newly acquired technologies and skills in their home markets. In addition to acquiring know-how, FDI can result in increasingly diversified and profitable government holdings. Singapore and Abu Dhabi, due to domestic market size constraints, seek outward investments via sovereign wealth funds such as Temasek Holdings and Mubadala in order to mitigate risks and benefit from foreign markets. That strategy enables these governments to generate and repatriate income from outward investments as a supplement to locally generated sources of fiscal income. There would inevitably be some political pushback to this proposed outward FDI strategy. Opponents could argue that investing at home creates higher social returns than investing abroad. While this may hold true in theory, it hasn’t necessarily translated into material welfare gains, as pointed out previously. Another concern would be convincing multinationals to share access to proprietary information and technology that are key to their competitive advantage. Investing in a company and profiting from that investment doesn’t necessarily translate to gaining access to technological know-how. A deeper analysis on the financial feasibility for countries to acquire a high enough share in multinationals is required. Just what percentage of ownership in a company is required in order to access proprietary information? Is 20% enough, or does one have to buy the company outright, as Tata Motors did? Going forward, policy-makers will need to devise development policies that focus on promoting inward FDI with a clear emphasis on technology transfer, know-how and spillover effects. They should also find a balance between inward FDI policy and more outward FDI ownership of foreign commercial operations. By doing so, a country such as the DRC could trade its cobalt reserves for ownership in a number of Chinese, American or Japanese entities that actually commercialize renewable batteries, electronics and autonomous vehicles. With over 50% of the world’s reserves of cobalt, the DRC must capitalize on its position to leapfrog into the autonomous car industry, not by industrializing in the DRC - as there are too many market and government failures to overcome in the short run - but instead by acquiring exposure to lucrative and complex segments of the value chain outside of its borders. The main risk would be to pick the right foreign companies to invest in, and to generate political support for such an unconventional development policy. Time is of the essence. Africa can no longer afford another decade of welfare stagnation for its growing workforce. Policy-makers should increase their export of FDI in strategic sectors as a new way to catch up by acquiring know-how. This policy, conducted jointly with a better appropriation of inward FDI spillovers, could improve real incomes per capita to levels of material significance for the populations of sub-Saharan Africa. In the future, maybe Hershey’s Chocolate will have more African input than just cocoa.